Hey there! Welcome to A Sampling Bee! 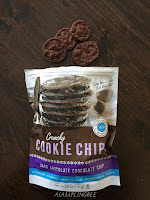 Today, I share with you HannahMax Baking's Cookie Chips! 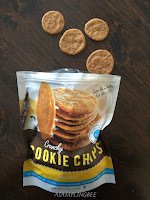 These yummy Cookie Chips are delicious treat thanks to Joanne Adirim. 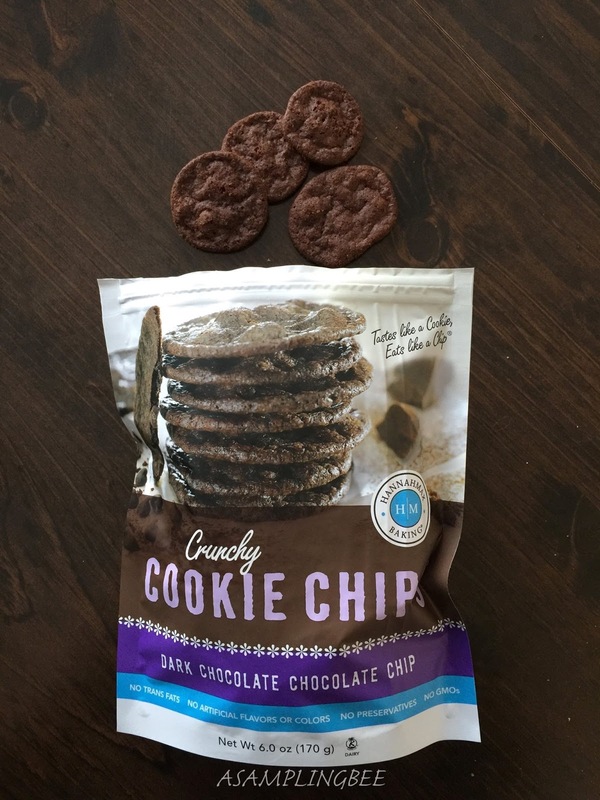 Joanne Adirim uses only the highest quality ingredients in her Cookie Chips! They're delicious! These Crunchy, All Natural Cookie Chips were born one afternoon when Joanne was baking with her kiddos. They were baking the company's namesakes, a crispy, sweet treat. Needless to say, her kids devoured the cookies so quickly. Right then and there is when she knew she had something BIG! The Cookie Chip was born! 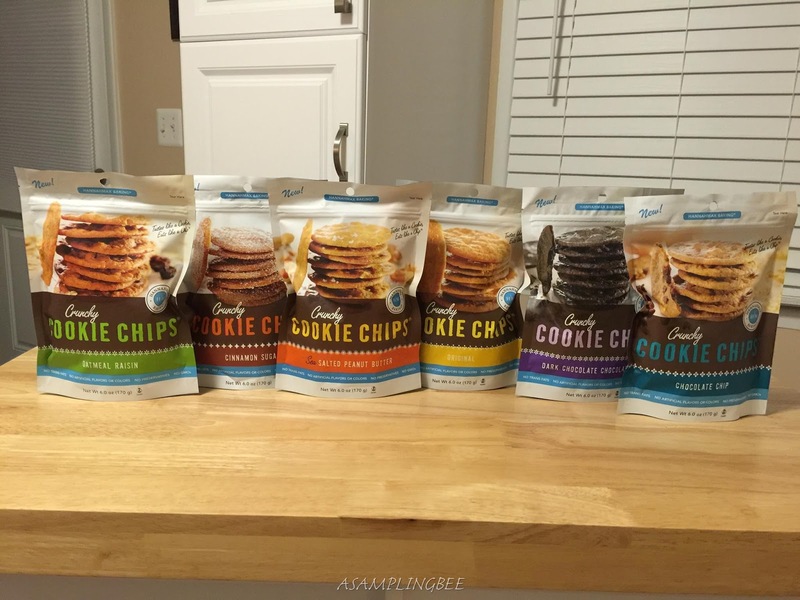 A delicious snack you can feel good about, all six flavors of Cookie Chips contain a mere 120-130 calories per serving. They’re made from the best, whole ingredients. Like milled cane sugar, creamery butter, cage-free eggs, fine chocolate and pure bourbon vanilla. Plus, you’ll never find any artificial flavors, colors, preservatives, trans fats or GMOs in anything that comes out of the HannahMax bakery. Isn't that awesome?? I was able to try the six flavors listed above. 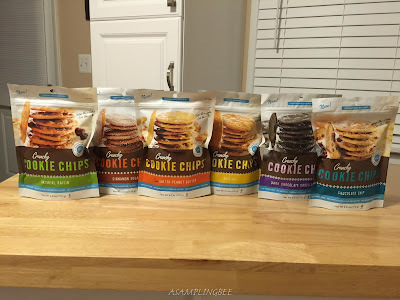 My favorite Cookie Chip flavors were the Dark Chocolate Chocolate Chip Cookie and the Oatmeal Raisin (I normally do not like Oatmeal Raisin Cookies so this says a lot about the flavor of the Oatmeal Raisin Cookie Chip) And, don't get me wrong, I loved ALL of the flavors. It's just that these two were my faves! The cookies are light, not heavy or greasy. The cookies are super thin and about the circumference of a clementine. 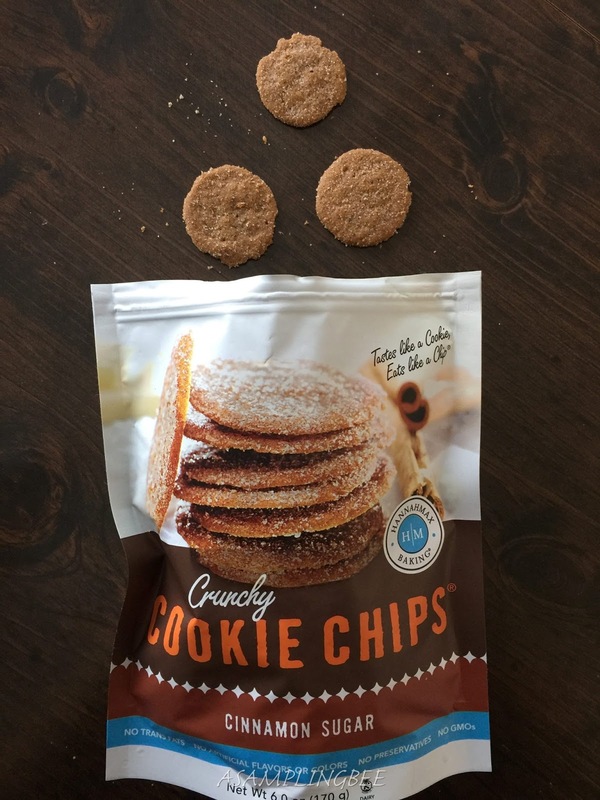 These Cookie Chips are not soft. They are crunchy and sweet. They are the perfect size for little hands. My sons loved them! I had to hide the bag of cookies on my husband. :) I can sit and eat a whole bag. All I'll need is a cup of tea! 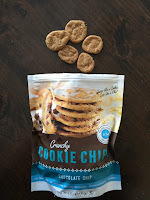 These yummy Cookie Chips are sure to satisfy your sweet tooth! :) You won't be able to have just one! * I received Cookie Chips in exchange for my honest review. All opinions are my own. ALWAYS! Thank you, Cookie Chips and HannahMax Baking! Those sound right up my alley! I definitley want to try these - they sound awesome. Please try them! They're delish! Could be really dangerous for me! I bet I could eat all of them in one sitting considering how big of a sweet tooth I have. It is tough to have just a few. They're SO good! 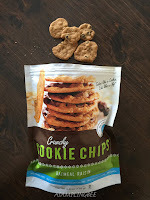 These sound delicious and the fact that they are free of all the nastiness of artificial flavors, colors, preservatives, trans fats or GMOs is a huge bonus! I'll have to show these to my grandma and to her friend they love these kinds of things. Oh! 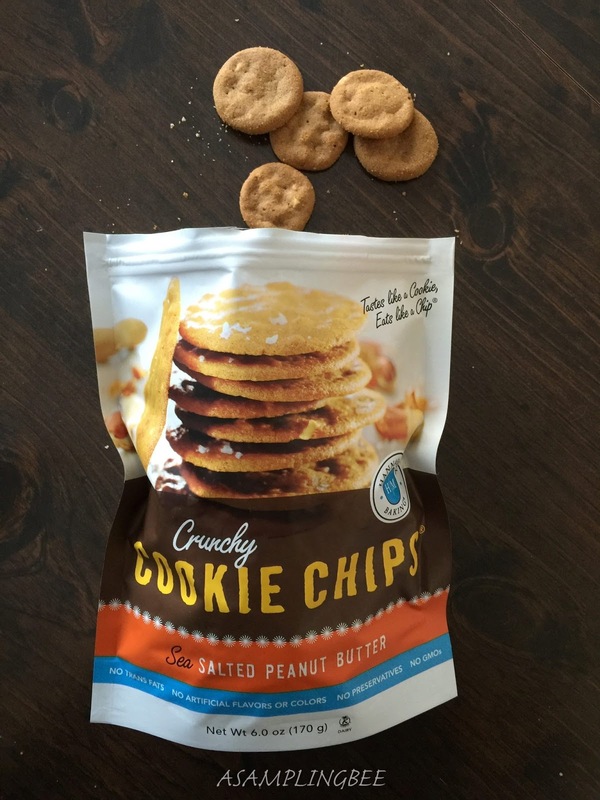 Just like brownie crisps, only these are more exciting because they're cookies. I would love to try all the flavors but my favorite would be chocolate. These look so yummy. I need to try them out!! I love cookies and these seem to be a little better for me than what I currently eat! lemon sugar and gingery taste cookies sounds wonderful! Those are stuff my family would love. I will look for these cookies. 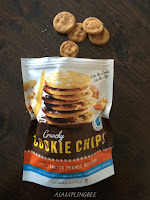 Gotta love these cookie chips! Yummy! I would love to sample all of them, too! I'm a cookie monster! Cookie chips would be a great snack. Yummy and crunchy at the same time. Thanks for the review. I'll grab some on my next trip to the grocery store. When I have a trip, I have a cookie chip on the go in my bag. Those sound so yummy! I like that they are natural too. I'd love to try the chocolate chip and cinnamon cookies. Oooo this is a first hearing of this brand! These cookies sound pretty tasty! These look sooo yummy! I definitely need to try these! I've never heard of these nor tried them. They look like a delicious treat! I've had something similar called brownie brittle but I've never tried these. They look really yummy! Cookie Chips are always so much favorite at home during Movie Nights & during our road trips as well. The ones that I love so much are Sea Salted Peanut Butter & Cinnamon Sugar, but would love to try almost all of them.